PICKED chronicles the story of a young actor named Kevin, who gets “picked” by a legendary director to have the role of his dreams in a new, big-budget Hollywood film, only to find out that the movie the director wants to create is one based on the authentic emotions, fears and hopes of its leading man. In order to allow the director to achieve his vision, Kevin subjects himself to extremely in-depth interviews, neuroimaging and the best technology in the business in exchange for the part of a lifetime—a process that affects him in ways he never could have expected. (John) Broadway: TWELVE ANGRY MEN, THE GRADUATE, A THOUSAND CLOWNS, Gore Vidal’s THE BEST MAN, LOST IN YONKERS, MY THING OF LOVE, THE MERCHANT. Off Broadway: PICKED, AFTER THE REVOLUTION, THE OVERWHELMING, THE WAVERLY GALLERY, THE LONG CHRISTMAS RIDE HOME, THE MUSIC TEACHER, THE SEAGULL, MIZLANSKY/ZILINSkY, GUS AND AL (Obie), IT’S ONLY A PLAY, LITTLE FOOTSTEPS, KEY EXCHANGE, TABLE SETTINGS, SAY GOODNIGHT GRACIE. Regional: Long Wharf, Huntington, Old Globe. Film: I Don’t Know How She Does It, The Green, Step Up 3-D, Desperately Seeking Susan, Crocodile Dundee, Shattered Glass,The Presidio, Blind Date, Worth Winning, Getting to Know You, You Can Thank Me Later, Miami Rhapsody, Indictment: The McMartin Trial, The Defenders, Just Between Friends, Lovesick. TV: “The Good Wife,” “Fringe,” “Jesse Stone,” “The Sopranos,” “The West Wing,” “NYPD Blue,” ”CSI: Miami,” “Law & Order,” “Law & Order:Criminal Intent,” “Frasier,” “Ed,” “The Practice,” “Wings,” “St. Elsewhere,” “Capitol News,” and Steve Martini’s “The Judge.” He is on the faculty of Brooklyn College and HB Studio. (Costume Design) Off-Broadway: PICKED (Vineyard Theatre), THE STARRY MESSENGER (The New Group), THE PRIDE (MCC), FAULT LINES (Naked Angels), FROM UP HERE (Manhattan Theater Club), LIBERTY CITY (NY Theater Workshop), SLUG BEARERS OF KAYROL ISLAND (Vineyard), THINGS WE WANT (The New Group), ELECTION DAY (Second Stage), JACQUES BREL IS ALIVE AND WELL ....(The Zipper), 9 PARTS OF DESIRE (MET), PEOPLE ARE WRONG! 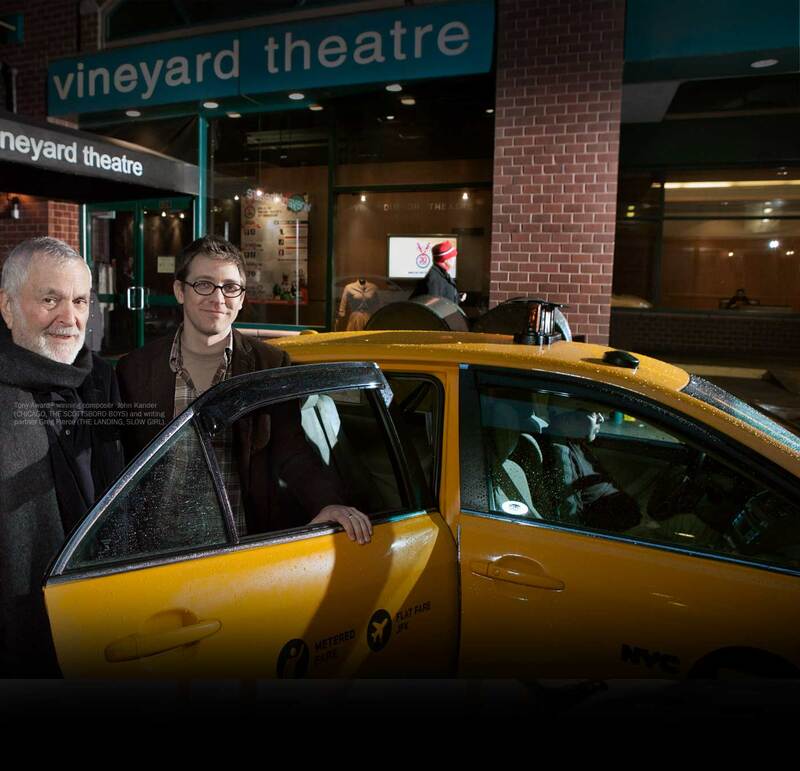 (Vineyard), BADDATES (Playwrights Horizons), JOHN FERGUSON (The Mint), WHERE DO WE LIVE (Vineyard), MASSACRE (LAByrinth), THE MYSTERIES (Classic Stage Company), ROAR (New Group), WHAT THE BUTLER SAW (The New Group). Regional: Cincinnati Playhouse in The Park, Goodspeed Musicals, Florida Stage, Huntington Theatre Co., Dallas Theater Center, Delaware Theater Co., Madison Rep., New York Stage and Film. OPERA: Washington National Opera (upcoming), Norwegian National Opera, Wolf Trap Opera, Staatstheater Wiesbaden (Germany), Opera Ireland, Bard Summerscape, Opera Colorado, FILM: Year of the Fish (Sundance 2007), Sovereignty and Shoplifting Chanel. Mattie was awarded the European Opera Prize in 2006. (Director) The Vineyard: PICKED. Other Off- Broadway: Christopher Shinn’s WHAT DIDN’T HAPPEN (Playwrights Horizons); Horton Foote’s THE ORPHANS’ HOME CYCLE (Drama Desk, Outer Critics Circle Award Outstanding Director), THE CARPETBAGGER’S CHILDREN (Lincoln Center Theatre) and THE DAY EMILY MARRIED (Primary Stages); Jane Anderson’s DEFYING GRAVITY; Eve Ensler’s NECESSARY TARGETS; Tina Howe’s CHASING MANET; Tennessee Williams’ THE MILK TRAIN DOESN’T STOP HERE ANYMORE (Roundabout Theatre Company) and THE RED DEVIL BATTERY SIGN. 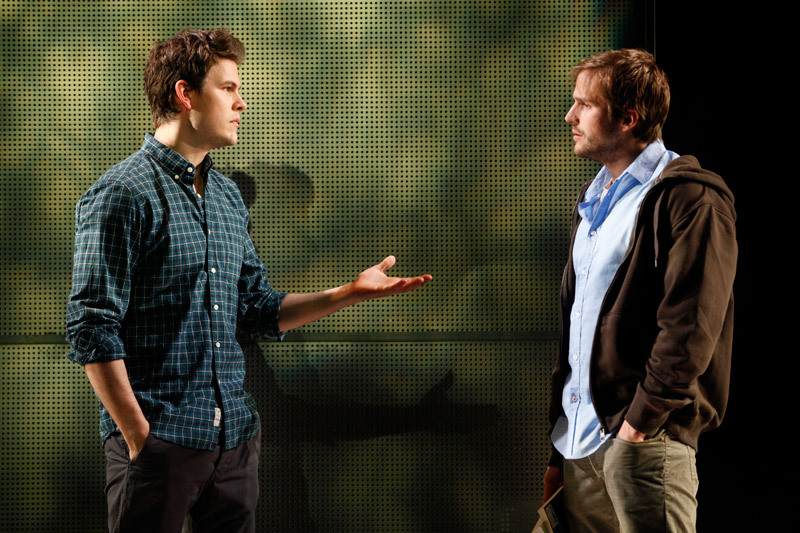 Broadway: Foote’s DIVIDING THE ESTATE and Matthew Barber’s ENCHANTED APRIL (Outer Critics Circle nom), OLD ACQUAINTANCE. International: Tony Kushner’s ANGELS IN AMERICA, PARTS 1 & 2 (Venice Biennale). In June, Wilson completes his final season as Artistic Director of Hartford Stage. (Sound Designer) Vineyard: OUTSIDE PEOPLE, PICKED, MIDDLETOWN, THE FOURTH SISTER, WE LIVE HERE, AMERICAN FIESTA. Broadway: OTHER DESERT CITIES, GOOD PEOPLE, THE CONSTANT WIFE, THE GOOD BODY, BILL MAHER: VICTORY... Off-Broadway includes Atlantic, MTC, MCC, Playwrights Horizons, The Public, Second Stage, NYTW, WP, New Georges, Flea, Cherry Lane, Signature, Clubbed Thumb (Affiliate Artist), The New Group. Regional: Bay Street, La Jolla, Cincinnati Playhouse, Westport Playhouse, Berkeley Rep, Portland Stage, Long Wharf, The Alley, NYS&F, Humana, Williamstown, ATF. Radio: Studio 360. 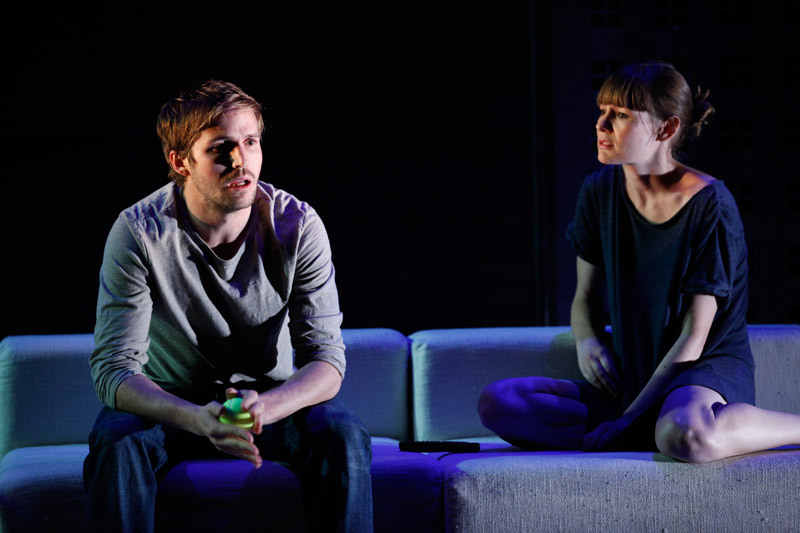 Nominations: Drama Desk, Henry Hewes. Awards; Ruth Morley Design Award, 2011 Obie for Sustained Excellence. Adjunct Professor at Sarah Lawrence College. Love to Adam. 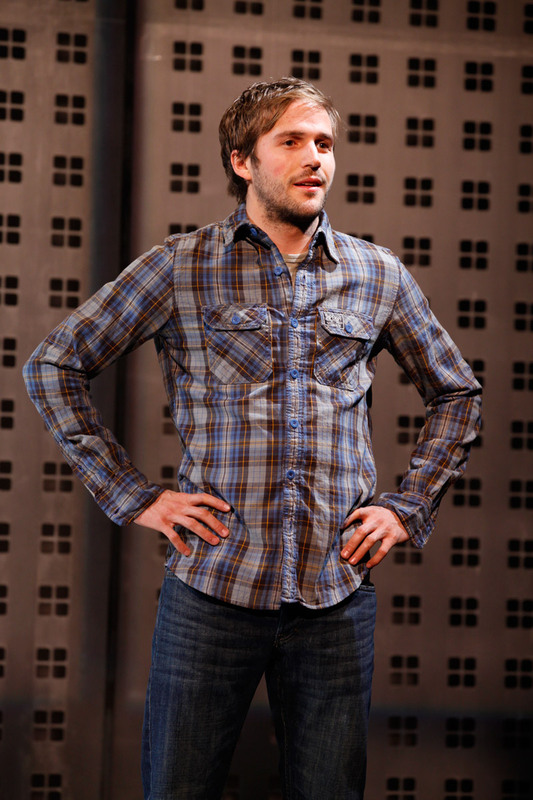 Michael Stahl-David in PICKED. Photo by Carol Rosegg. 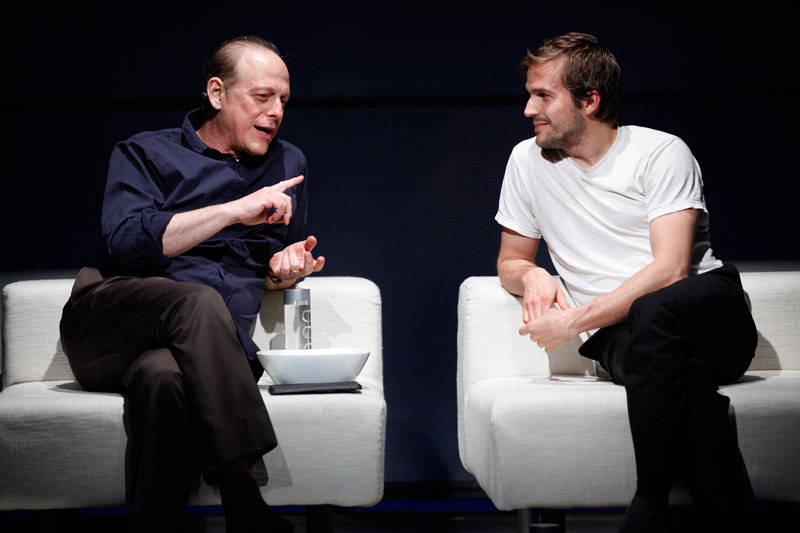 Mark Blum and Michael Stahl-David in PICKED. Photo by Carol Rosegg. Michael Stahl-David and Liz Stauber in PICKED. Photo by Carol Rosegg. Liz Stauber, Michael Stahl-David, and Tom Lipinski in PICKED. Photo by Carol Rosegg. Donna Hanover, Michael Stahl-David, and Tom Lipinski in PICKED. Photo by Carol Rosegg. 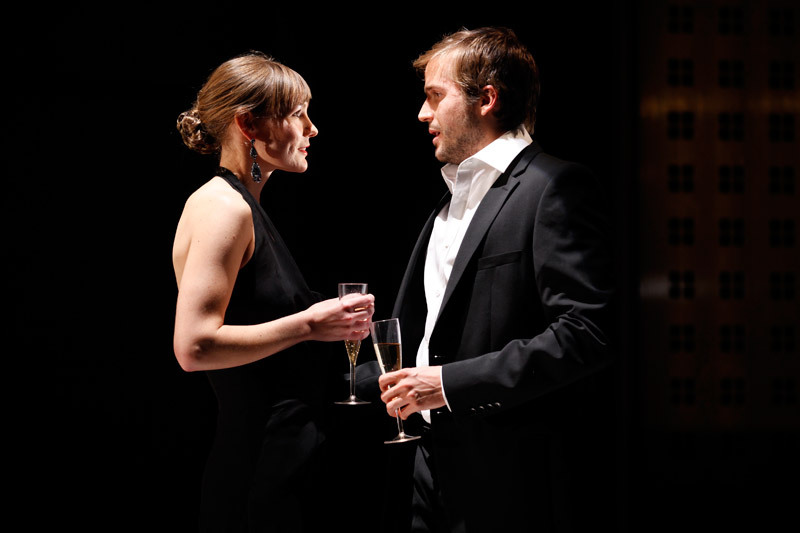 Liz Stauber and Michael Stahl-David in PICKED. Photo by Carol Rosegg. Tom Lipinski and Michael Stahl-David in PICKED. Photo by Carol Rosegg. “INTRIGUING, SLEEK, HANDSOME AND WELL-ACTED! 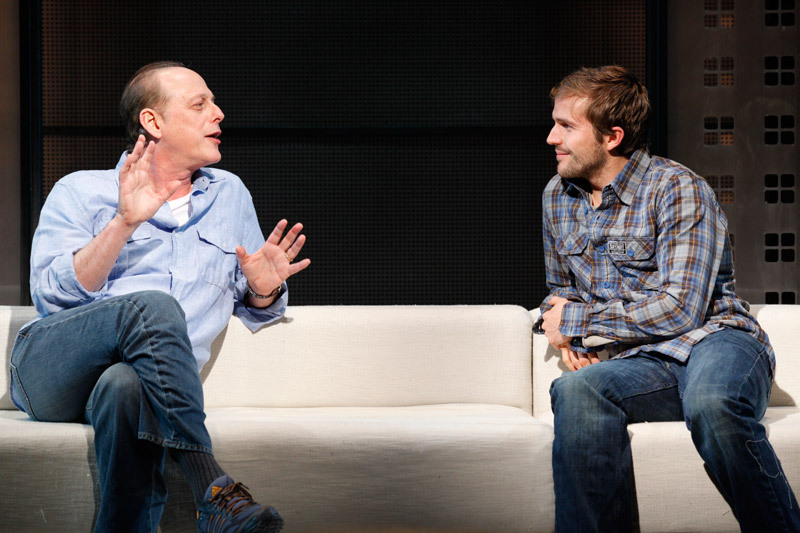 “A HEADY, WELL-WRITTEN NEW PLAY! “SHINN’S FINEST STAGE DRAMA TO DATE!